I've not included this article in Basic VMware article series, but I'll refer back to this article in the future, when we discuss the installation of VMware vSphere vCenter Server, in the VMware Intermediate Series in the future. 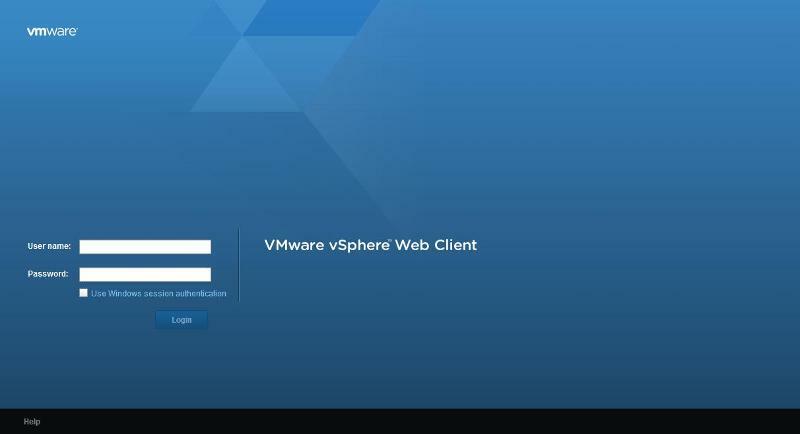 VMware vSphere Web Access was originally released for VMware vSphere 4.0 and vCenter Server 4.0, it was updated in VMware vSphere 5.0, and is now referred to as VMware vSphere Web Client. 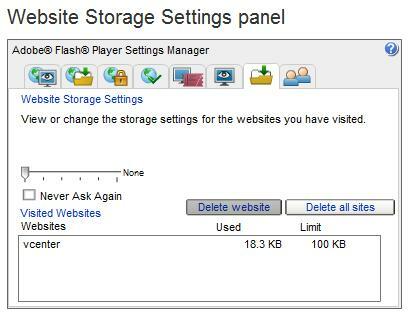 As of VMware vSphere 5.5 the VMware vSphere Web Client uses Adobe Flash, and is a feature rich client. As it's name suggests it's accessed via a Web Browser e.g. Internet Explorer, Firefox, Chrome or Safari. Many of the newer features of VMware vSphere 5.5, can only be accessed and configured from the new VMware vSphere Web Client. This is excellent news for VMware Administrators, administrators now have a client which can manage a VMware vSphere environment across many different OS platforms, e.g. Windows, Mac and Linux, it brings a new way of working, and VMware Administrators, have to learn new methods of working with the VMware vSphere Web Client to perform VMware vSphere administration. However, ask any VMware Administrator, about the VMware vSphere Web Client, and you will find that most hate it, and find it terribly slow to use, due to the use of Adobe Flash technology. Unfortunately, as you have seen above, VMware Administrators, must get used to using the new VMware vSphere Web Client, because VMware have informed us that the VMware vSphere Client is no longer being developed, and is going away! 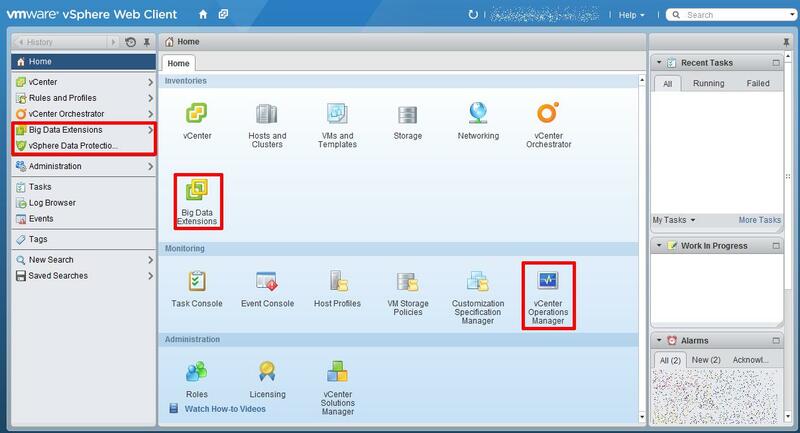 I have found a golden nugget of information, that I would like to share, on HOW TO: Enhance the performance "speed up" the VMware vSphere Web Client. This will display a list of websites you have visited using Adobe Flash, and will show the amount of storage reserved for Adobe Flash. 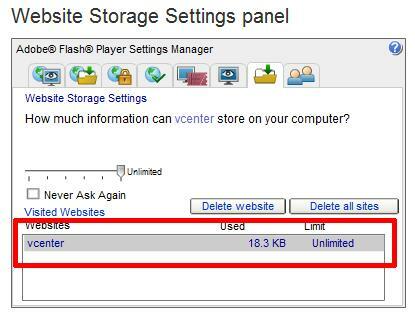 Select the vCenter Server website, and increase the limit to Unlimited. This is only going to change the amount in kilobytes used. It's not going to be an excessive amount, but this will allow vCenter Server, to store and cache data required. 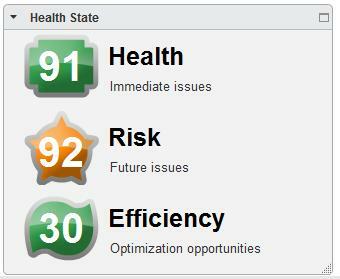 This increases the performance of the VMware vSphere Web Client, and makes it easier to use.